Discussions about Ambien these days are anything but sleepy. 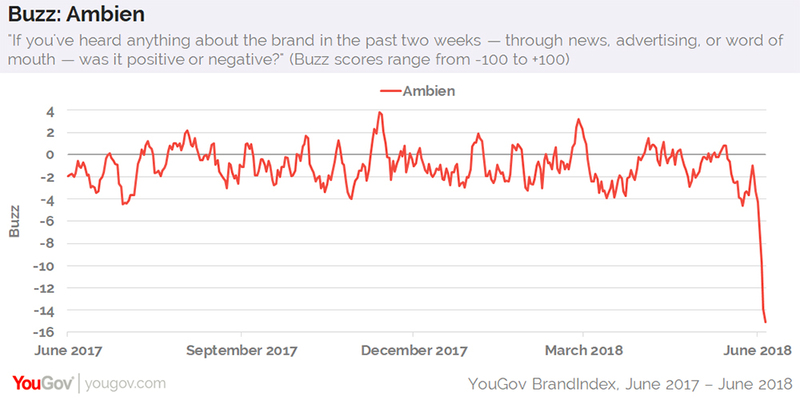 After Roseanne Barr partially blamed the sedative for her controversial tweet about Valerie Jarrett, an African-American woman who served as a senior adviser to President Obama, talk of Ambien has hit its highest level since YouGov BrandIndex began tracking the brand back in late 2012. On Tuesday, May 29, prior to Barr tweeting that she was on Ambien when she posted the initial remark about Jarrett, which led to ABC canceling her hit sitcom, 6% of US adults recalled talking about the prescription drug with friends or family members in the past two weeks. At present, that number has increased to 15%. At the same time, Ambien’s Buzz score has dropped. 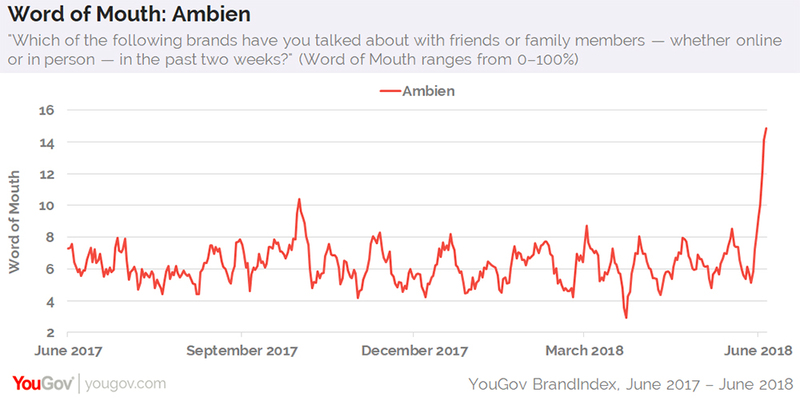 When asked if they’ve heard anything positive or negative about the brand in the past two weeks — either through news, advertising, or word of mouth — US consumers currently give the drug a score of -15, which is notably lower than Ambien’s average. Additional data from YouGov Profiles shows that 52% of current and former Ambien users have a positive opinion of Roseanne the TV show, compared to 43% of the general public. As for Roseanne Barr the person, however, the views flip: 33% of current and former Ambien users hold a favorable opinion of Barr, compared to 36% of all US adults.